Now available in all Zimbra versions! Peer-to-peer chat via XMPP. The company’s chat data will always be protected and confidential, while users can search the chat history, use emoticons and much more. Zimbra’s mobile phone sync functionality has been updated. Users can now synchronize their shared Zimbra elements with all other Zimbra data. Thanks to the Exchange ActiveSync protocol, supported natively by most mobile devices, data will always be at your fingertips, without having to use a middleware or dedicated client. 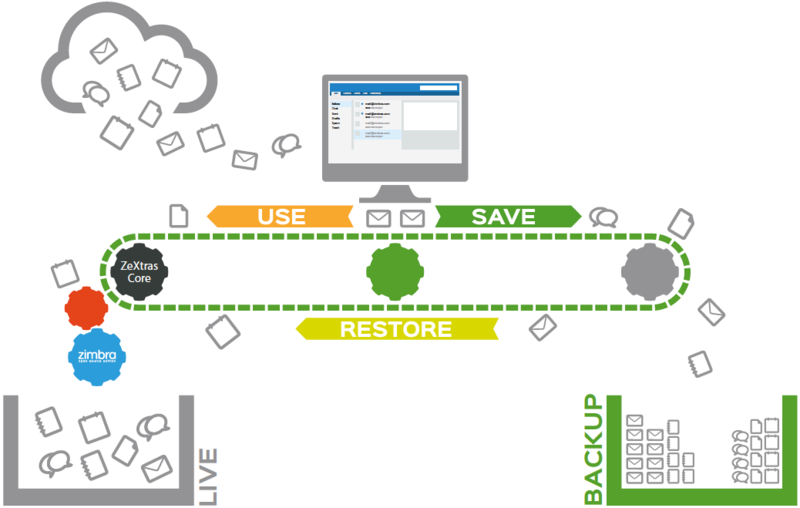 Zimbra’s new real-time backup and recovery engine allows you to back up every single item and event on the server with instantaneous accuracy. Developed to avoid data loss through the use of consistent atomic algorithms, it also saves disk space (up to 50%) through an intelligent deduplication and compression system. It offers six different recovery functions, from a single element to complete disaster recovery. All recovery modes are transparent to the user and 100% independent of the operating system, architecture and version. 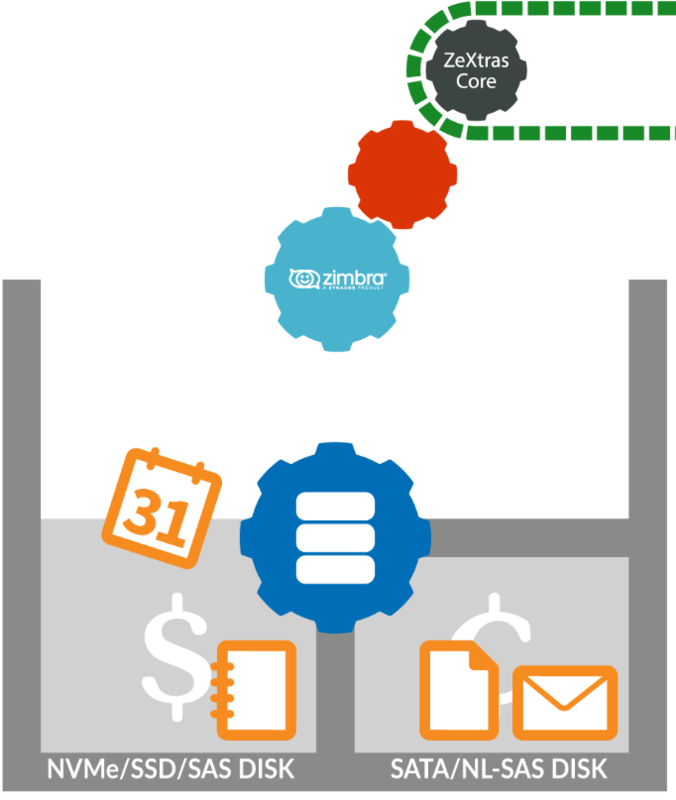 Zimbra Drive, an updated synchronization and file sharing functionality, is now available in all Zimbra versions. 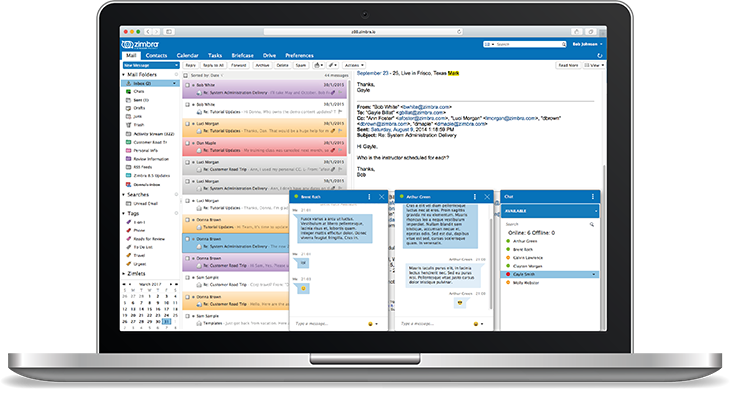 Developed on the ownCloud/Nextcloud platform, Zimbra Drive enables users to sync and share files easily and securely, anywhere from any device. It takes just a few minutes to grant managing administrator rights to a user, allowing them to perform management tasks such as setting quotas, service classes (COS) and maximum number of users on domains. It is possible to monitor both the actions of managing directors and the status of domains directly from the Zimbra administration console, thanks to the new integrated reporting functions of the dedicated administration zimlet. 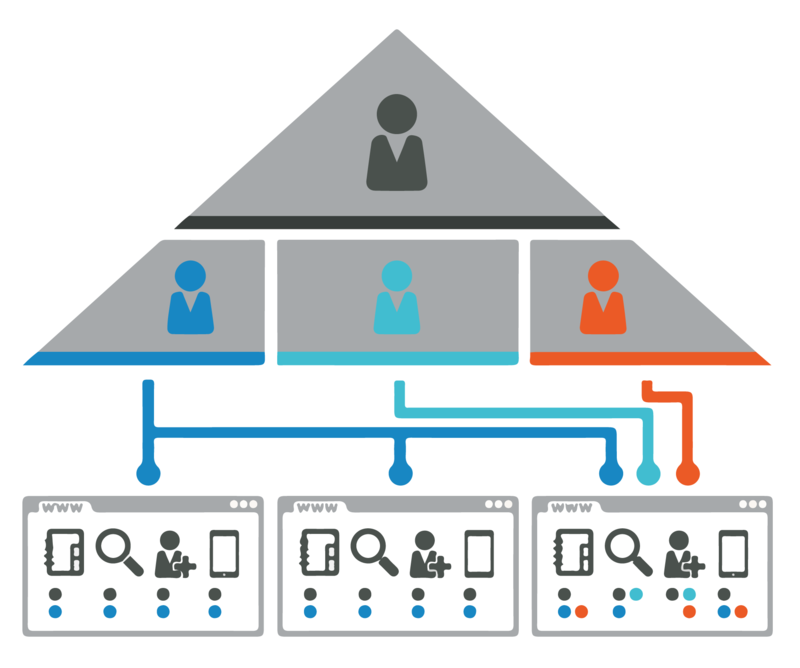 With advanced archiving management and hierarchical memory management (HSM) capabilities, you can now manage multiple volumes and HSM policies via the Zimbra administration console. You can save up to 50% of valuable storage space, easily expand your Zimbra server by adding new volumes as needed, improve server performance by dividing the I/O load on different storage media, and use different levels of storage media.